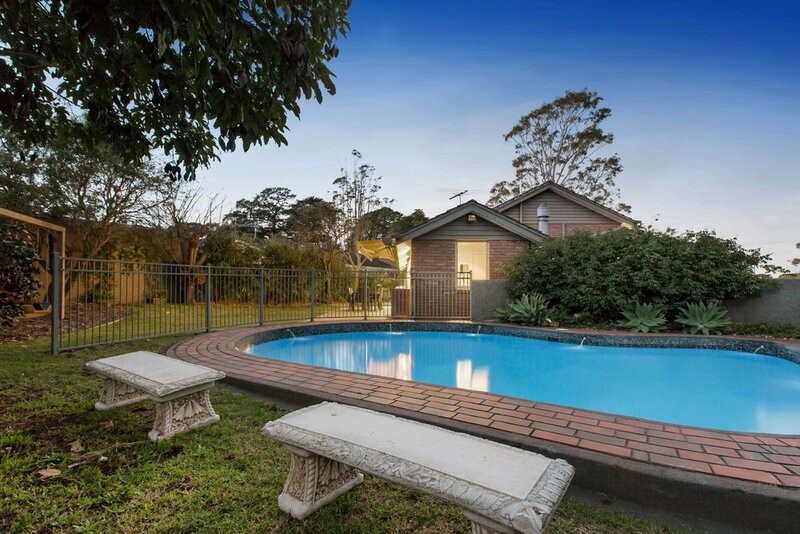 Embracing all the effortless style and family function we’ve come to expect from elite Beleura Hill, this striking three-bedroom home with solar-heated pool and playground delivers generous proportions and lovely views across Tallis Park. A soaring cathedral ceiling, polished timber floors, open fireplace and French doors opening to an upper balcony provide a glorious setting for relaxation in the parent’s lounge right beside the master bedroom with ensuite, while children enjoy their own rumpus room on a floor unto themselves alongside the junior bedrooms and family bathroom with spa. 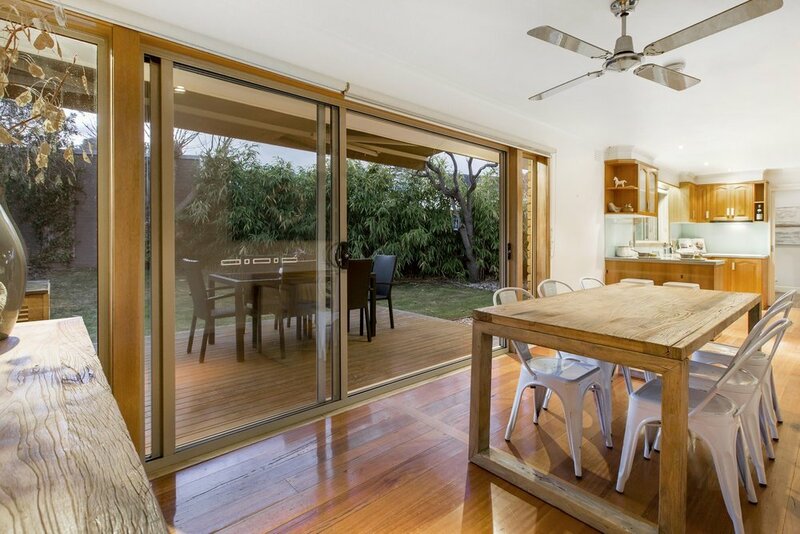 Siding the delightful modern kitchen with timber cabinetry, stainless-steel appliances and stone countertops, the intriguing floorplan branches out to a formal dining room and third living area, both of which spill out to north-facing merbau decks overlooking the gardens. Just a stone’s throw to schools, shops, public transport, the golf course and Mills Beach , among the extras are ducted and hydronic heating, split-system airconditioners, deck awning, 2.5 bathrooms and a double carport.